A total of 57 teachers from primary, middle, and secondary schools around the island spent a full day learning about the ecology of fish, marine ecosystems, and the technology used to track and study local fish populations. JP Skinner, BIOS Education Officer, and Kaitlin Baird, BIOS Science in Education Coordinator, treated the teachers to a variety of STEM-focused activities and resources that can be used in their classrooms. “We looked at ways to harness the kids’ excitement about fish and give teachers new resources to help them incorporate technology into the study of marine ecosystems,” said JP of the workshops. 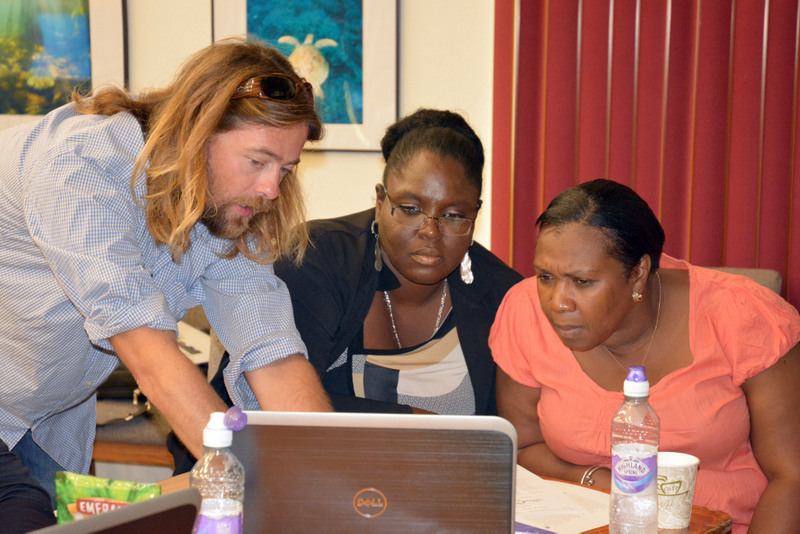 Middle and secondary teachers were introduced to free online software, including the reef.org database of fish identification and population reports. They also got an in-depth look at ArcGIS, which allows students to create maps using scientific data and geographic information. Meanwhile, the primary teachers got to try a variety of hands-on activities involving measuring, graphing, and using spreadsheets to manage data. The workshops also featured guest speakers including Tim Noyes, BIOS Research Specialist in the Coral Reef Ecology and Optics Lab, and Judie Clee, one of the top fish identification and survey experts in Bermuda and the Caribbean. John Edwards and Chris Cabral with the Bermuda Fisheries Department also made an appearance to share their insight and provide additional resources for the teachers to use.